Liverpool kicks off the English Premier League season today at West Bromwich Albion today with plenty of questions surrounding a team that finished an uncharacteristic eighth in the table last season. The Reds take the field today under a new manager in Brendan Rodgers, who is used to challenges after guiding Swansea into the Premier League and leading the Swans to an 11th-place finish, just five points behind Liverpool. 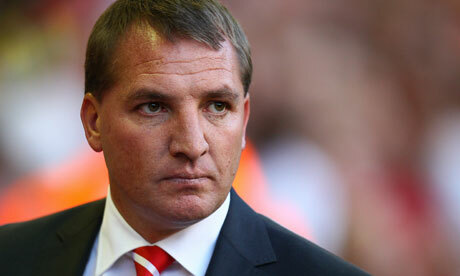 The team was quiet in the transfer market, as Rodgers brought in Fabio Borini, Oussama Assaidi and Joe Allen. Borini and Allen have both played for Rodgers before and will be counted on to help install Rodger’s brand of football, which emphasizes the passing game and fluid movement among the players. Liverpool lost Craig Bellamy and Dirk Kuyt (the hardest-working man in football) to transfers and they will missed, but somehow Andy Carroll is still with the team (and don’t get us started on Luis Suárez). And a summer of flirtation with Clint Dempsey has yet to be consummated, although Dempsey may be forcing Fulham’s hand as he reportedly is refusing to play in this weekend’s opener against Norwich (for which he’s been fined by the team). It’s a beautiful way to play the game, but it takes time to install and requires every fan’s favorite word – patience (we knew there was a reason we were drawn to Liverpool). Club owner John Henry is also selling the idea of patience, especially as the previous owners left the team a mess. “The best analogy is that you can’t turn an ocean liner around like you can turn a speedboat,” said Henry, whose Fenway Sports Group paid £300m for the club in October 2010. “When you look at the rivalry between Liverpool and Manchester United, Liverpool isn’t holding up its side of the rivalry. We looked at how the situation was financially, with the player contracts and the youth system. The further we went into it, the more sobered we were. Looking back at the day we bought Liverpool, I was trying to make a point then about how much of a challenge it was going to be because of the issues we inherited. Liverpool still has talent (they certainly are not going to have to worry about relegation) and familiar faces in Steven Gerrard, Jamie Carragher, Pepe Reina and Maxi Rodriguez, they should also get better as the season goes along. But they also have an early schedule that is quite brutal, with their first three home games coming against Manchester City, Arsenal and Manchester United (welcome to Anfield, Brendan). Claiming a Champions League spot seems out of the question, especially as there will probably only be one slot up for grabs (unless something really bad happens to one of the Manchester clubs or Chelsea). But there is reason to believe the team will be better than last year’s disappointing squad. Rodgers seems simultaneously up to the challenge and realistic about the work that needs to be done.